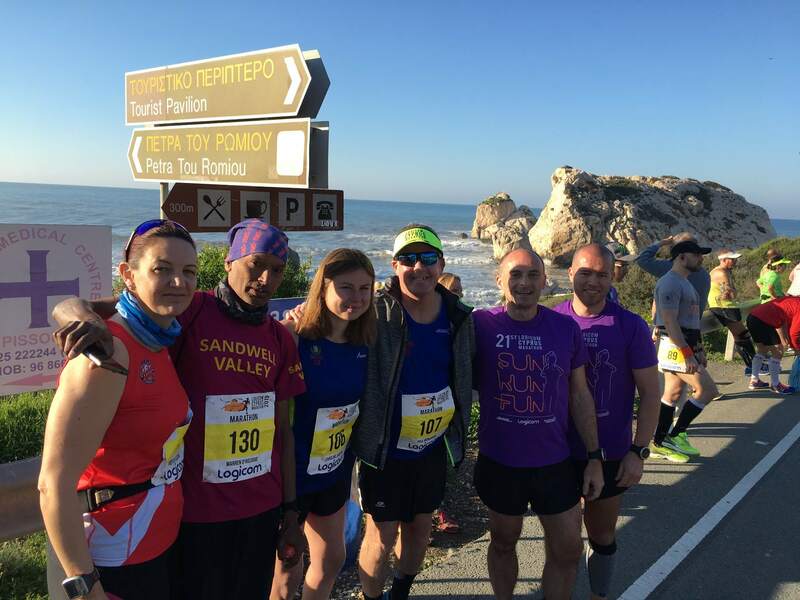 Paphos & Limassol Marathon 2019 Week Report. 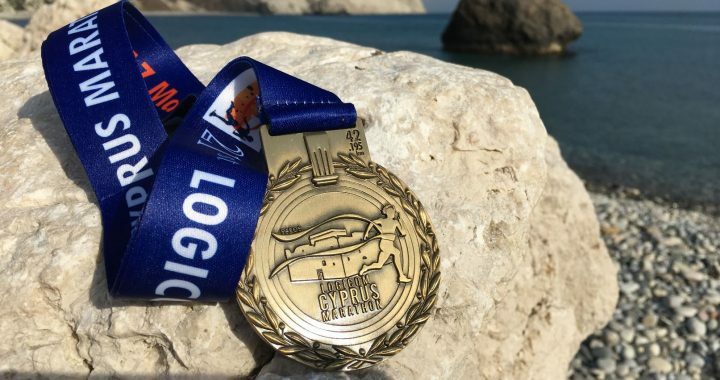 We’d last ran Paphos in 2015 and ran Limassol marathons a few times over the years but one thing we never expected was that in 2019 they’d each announce their Marathons within a week of each other. As Caroline’s parents live over there this was a perfect excuse to spend 10 days away and run 2 marathons. After arriving we checked in at a great hotel called Nereus it seemed tons of runners were also staying there. 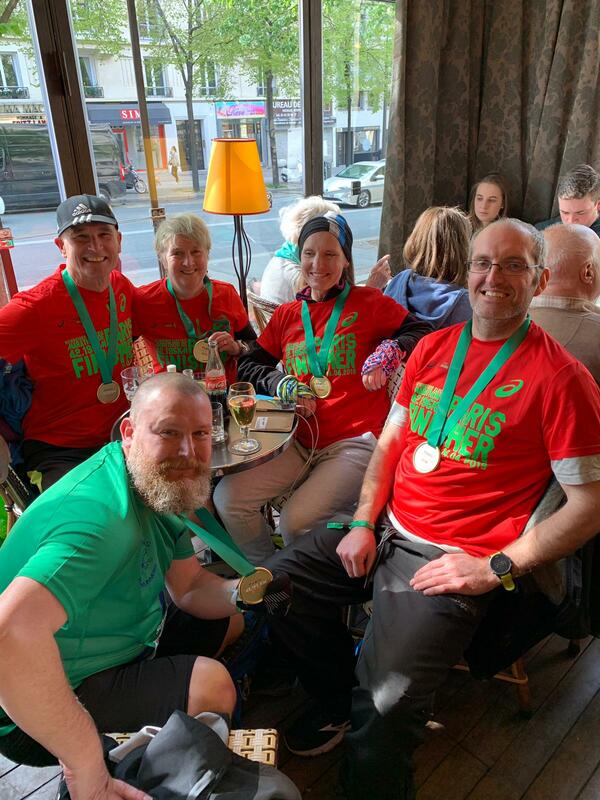 We got chatting to a couple at the hotel bar, the guy Clive had his eye on the big win so we chatted about marathons we’d done for the rest of the evening before being sensible and calling it an early night. The Paphos marathon expo itself is a a lovely area next to Paphos castle & the beach and near the finish. To anyone new to the race it’s an impressive area and soon gets you I the mood. Race morning we made our way for the coach pick up as we’d be transported about 20 miles to Aphrodite’s Rock where the marathon would kick off as this was an out and back course. 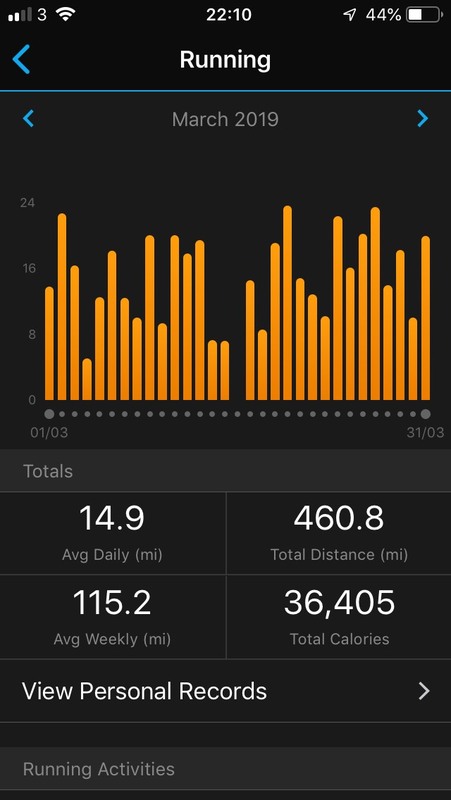 I’d previously ran this in 2015 but what surprised me is just how much this marathon had grown. Three coaches were there in 2015 but this time there was a queue of about 10. You have to be there to appreciate the start. Aphrodite’s Rock area is just stunning and as it was sunrise it looked even more spectacular. A sight to behold. We eventually started, and although being stunning there was the slight problem of a Kilometre up hill to contend with. Caroline shot off but I knew at that moment it was not to be my day. A great race but support is sparse amongst many sections of main road leading to Paphos town. I found myself running solo on some parts but about 12 mile in at an out and back section I spotted fellow 100 marathon runner Adam Holland leading the race by a serious margin. Many runners seemed to struggle with the heat but Adam Holland took first in 2:35:03. Our pal Clive from the hotel came 5th in just a few seconds over 3 hours. My lady the other half of #TeamJackMon Caroline Jackson managed 3:53. The best part of this race is the awards ceremony. They gave out lots of age cat prizes which many of our pals picked up. Caroline only just missed out on the vet female 40. Free beer was flowing as well as a local DJ. 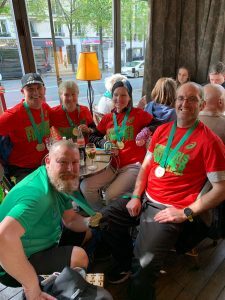 Our friends and fellow RRs Stephen & Julie Wing had a good marathon and also joined us at the end. Did we rest the following day? Erm not quite as we walked about 8 miles to and from Tomb of The Kings which was a welcome quiet day. 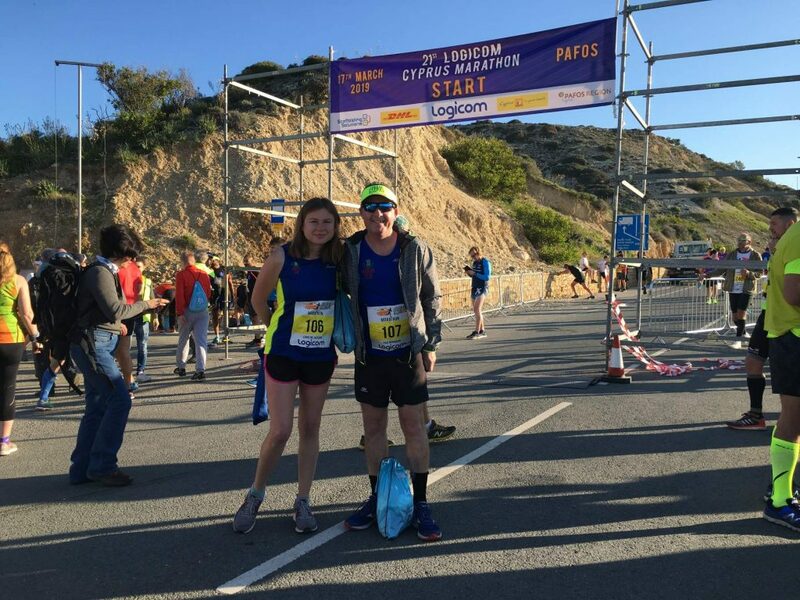 A couple of days later Caroline & I joined the local Cypriot running club West Coast Runners for about 10K around Paphos. 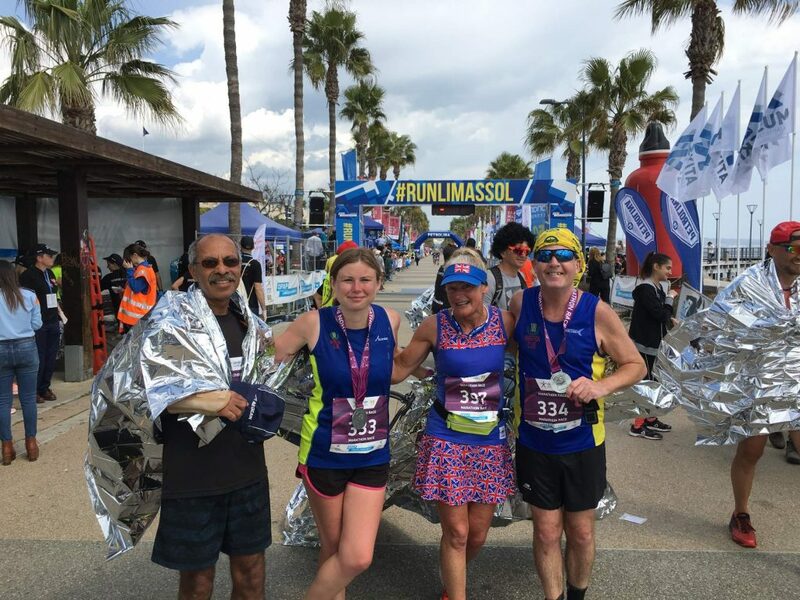 Was one of the highlights of our stay as they were a great bunch, we’d meet some of them a few days later at Limassol marathon. Next port of call would be Caroline’s parents in Pano Lefkara for a couple of days before heading to Limassol. A can was needed for this but as usual for us we were ill prepared which meant us walking around Paphos for a couple of hours to get the right one, one back alley place we ended up by accident was a used car, car park with prices sprayed on the windscreens which we decided may be worth giving a miss, luckily we found a great Europcar garage that gave us just what we needed. Caroline’s parents as always were great as hospitality & food were in abundance, not to mention the bottomless wine carafe her dad always produces. I really do need to get myself one of these. Pano Lefkara is up in the mountains and a stunning typical Cypriot village that specialises in linen and has managed to keep it’s culture despite the tourist buses that frequently visit. I’ve been close on a couple of occasions to buying a set of curtains whilst just going for a loaf. They have a local running track at the village which in our wisdom decided to do about 20 laps on in the 25 degree heat. It was empty so we had it to ourselves, we even managed to collar a local old lady to grab a few pics though 5 minutes later she returned with curtains and a few table cloths. We did eventually manage enjoy a ice cold local beer after our track & linen dodging session. It was eventually time to leave Caroline’s parents so we drove to Limassol to check into our second hotel. This was slightly more out of the way from the marathon start but had great views from our balcony. 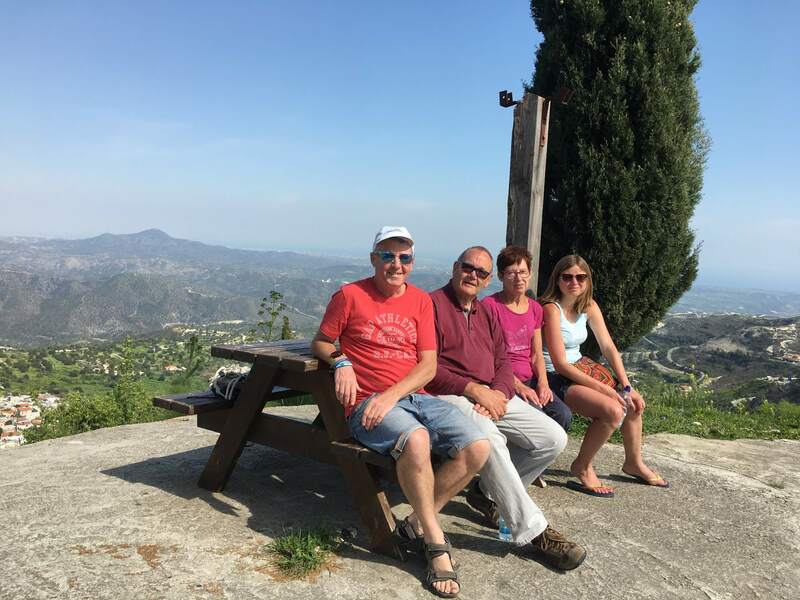 We managed to get in a few tourist sites including Kolossi Castle and the brilliant Kourion archaeological site whilst in Limassol which required a lot of walking, not really ideal for our marathon in a couple of days but well worth the visit. The expo on Friday was a quiet affair but the pre-race pasta party was a different matter. They’d put on the entertainment of Greek dancers doing their balancing glasses on the head routine. As the sun was setting this was great fun but the lack of lighting meant we couldn’t see how many glasses were on his head, still I’d lost count after 15 anyway. The Cypriots know how to put on great pre and after marathon shows which seem to lack back here in the UK. Marathon morning was buzzing, as the race starts parallel to the beach surrounded by Palm trees. With the DJ pumping out tunes, this really is a mega experience. Caroline was recognised by some of the organisers as she’s won the 2015 Marathon so there was quite a few pics taken though no autograph hunters I’m afraid . Before we knew it we were off. This year the race was in waves for the Marathon, HM and 10K meaning there was no congestion as in previous years. I was feeling a lot more up to it then at Paphos the following week so shot off at 7:15 min mile pace though just 1 mile in I had a case of the runs so shot into nearest loo. 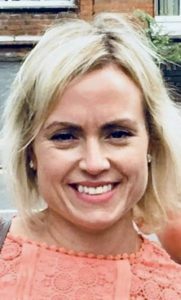 Caroline also seemed to be on better form as I didn’t catch her until 20 mile in when after seeing me she found some competitive energy to leave me for dead. This is a great course though support can lack in places. The heat and hill at about 15 mile make this tough but the scenery and atmosphere more than compensates. I came in at just over 4 hours which was 20 mins faster than the previous week. Caroline also finished faster. Can never really run your best in these hot climates but these races were as much about the holiday as running. After the obligatory #TeamJackMon video and a few post drinks it was time to celebrate in the evening at the Guaba Bar who organise the official race after party. Live bands, DJs etc play well on until after midnight. It would be rude not to indulge so we did the decent thing by singing along to cheesy tunes and returning to our hotel long after the door had been locked. 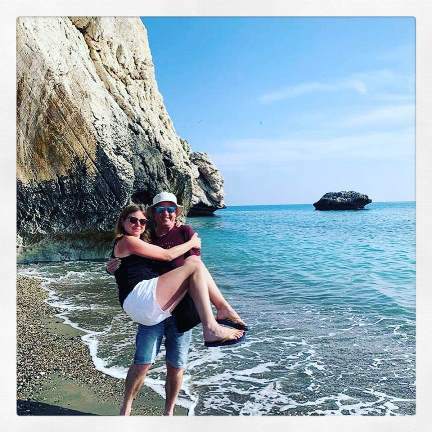 Cyprus as always is a great island to visit as so much more to do besides running, but take my word for it, It’s far more fun if you run. It would be rude not to. QUESTION: What activity do you come out of feeling worse than when you went in? ANSWER: Not running a marathon, but going to the doctor to ask for a medical certificate to run one! 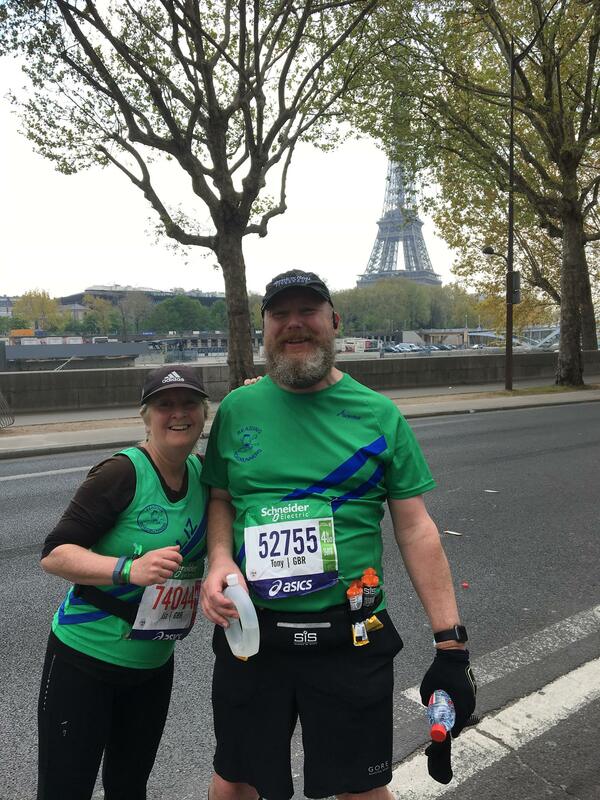 The French ask for conformation from a medic prior to allowing you to enter the Paris Marathon and I went into the surgery confident that this would be a formality. After much sucking of teeth and comments about high cholesterol and blood pressure my doctor said no! She would have to get confirmation from the senior partner before risking a signature on the form. Fortunately, it turned out that the senior partner is a parkrunner and after a few questions and agreeing to appropriate medication I was in. Liz, my wife, had similar problems — her doctor flatly refused to take the risk and sign the form, leaving her to find a more enlightened medic at a bureau in Paddington. Charlie Macklin submitted the form all right, only to have it thrown out for having the wrong wording. It turned out that the words were right in the end, but this only came clear on collecting bibs at the expo. The medical certificate obstacle surmounted, a small group of Reading Roadrunners independently took the Eurostar to Paris. We consisted of David Walkley, Charlie Macklin, Anthony Eastaway, Liz and myself, supplemented by our neighbours, Joelah and Linda Flintoff. Unfortunatley, Sev Konieczny was unable join us, but her sister, Véronique Chalmandrier ran in support. 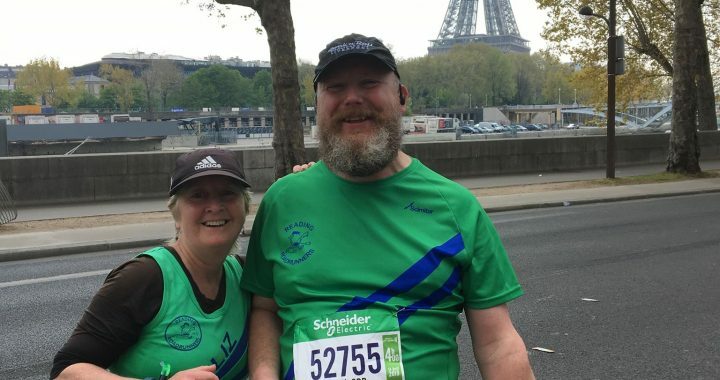 We also had the backing of supporters in Paris — Anthony’s husband Jeremy and Charlie’s children, as well as the warm good wishes of a large number of Roadrunners following us back home on the event app. On the eve of the race Anthony, Jeremy, Liz and I ventured to the top of the Arc de Triomphe to view the start and finish of the course, while Charlie opted for a view from the Eiffel Tower. We also managed an evening rendezvous to enjoy a meal together and talk race strategy before retiring early in preparation for the next day. Weather on the day was ideal for running — cool to the point of being cold, bright and sunny. The course is flat and fast, provided you watch your feet on the notorious cobbles and can squeeze through streets sometimes alarmingly narrowed by pressing spectators. But you don’t run Paris just to get a personal best… the course takes in all the major tourist landmarks of the city. We started in the Champs Elysees, passing L’Opera, La Bastille, through the Bois de Vincennes, back past Notre Dame, the Musée d’Orsay and the Tour Eiffel. The last five miles is a tough slog through the Bois de Boulogne, but relieved in the end by the sight of Frank Ghery’s magnificent Louis Vuitton building. The finish culminates along the Avenue Foch in front of the Arc de Triomphe — a fitting end to an exhilarating tour of the town. We all felt we had good runs, and caught up afterwards to compare notes over a beer or two. David in particular turned in a well-deserved PB at 3:40.46 and Charlie was very near her best at 4:23.18. Anthony ran a solid 5:49.36 and Liz, relaxed as ever, cruised in at 5:41.14, just under two minutes behind her PB scored at Berlin last September. Véronique achieved a creditable 5:17.46. As for me, I was pleased, not so much with the time of 4:34.24, but with my state at the end — managing a strong finish and a little sprint over the line with a noisy squad of ‘London to Paris’ marathon-running nutcases pulling me along. After the run, most of us stayed on to do a little sightseeing and relaxing. Paris can be an expensive place to eat and drink, but once you get the feel of the city, not really any more than London. Liz and I certainly enjoyed visiting some new sights and discovering interesting cafés and restaurants. In common with many great cities, Paris has a fantastic metro system and it is easy to get to most landmarks, so it is a good place to combine running with tourism. We saw some signs of gilet jaune damage to the shops in the Champs Elysees, but there was no trouble. Much more distressing was, as we left, the reports of the fire at Notre Dame. Television pictures of the fire and the distress of Parisians were very moving, but I have no doubt that the resilient French will bounce back and soon have this eternal monument restored. Overall a great race and I think a few of us are keen to return next year. 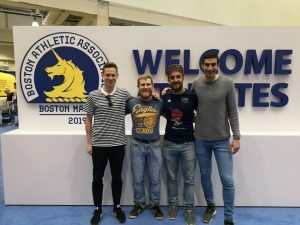 SPECIAL report from Roadrunner BRENDAN MORRIS on yesterday’s Boston Marathon… and it’s aftermath! IT’S 3.30am local time and I’m wide awake lying in our hotel room in Boston. 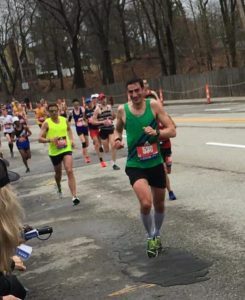 Yesterday I ran the Boston Marathon in a time of 2:47.50. 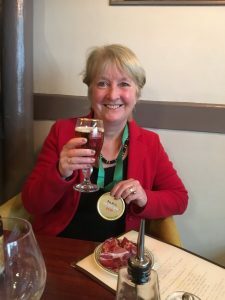 It was a time that I was quite happy with and celebrated accordingly afterwards. The trouble is now that I’m rather uncomfortable. The hangover is bearable, but not pleasant, the muscles in my upper legs are particularly sore, but the worst thing is, I need the toilet. This will be the third time that I would be going during the night (an issue with maximum rehydration after a marathon). The first time, my left leg gave way underneath me completely and I ended up in a heap on the floor and crawled to the ensuite. The second time, I made so much noise groaning in pain that I woke my wife up and she was less than sympathetic. So I’m now weighing up the options available. The most attractive one seems to be to wet the bed, but I think the most acceptable one will be to attempt to roll out of bed into the floor quietly and then once again crawl to the toilet and muster up the strength to stand, then hobble back. The prestige of the Boston Marathon needs no introduction. 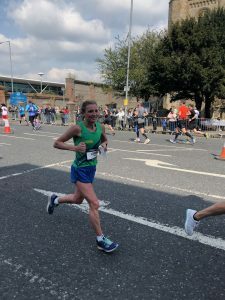 It’s an event that is on many amateur runners’ bucket lists, with a difficult qualifying time and no opportunity to run it otherwise, making it a race to aspire to. 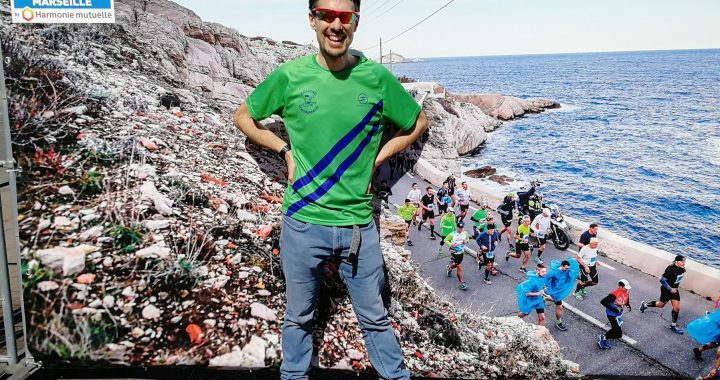 The city seems to have embraced this event with open arms as well, with the locals generating a great atmosphere throughout the marathon weekend. The more I read about the course in the build-up to the event, the more it started to worry me. “Though it has a net drop in elevation, do not let that fool you into thinking it’s a quick or easy course.” This was just one of the cliche-type phrases that I read and in hindsight all of them seemed to have been true. 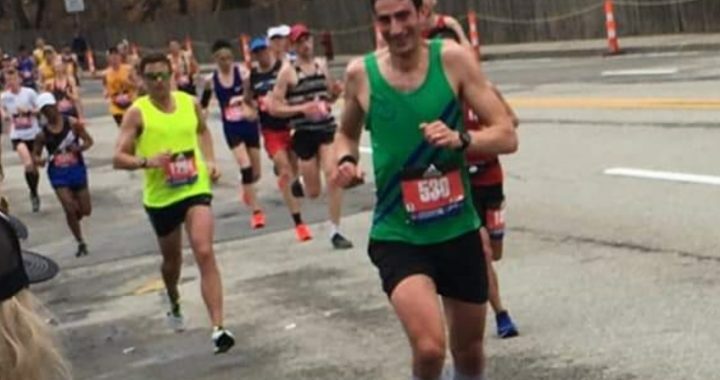 Another element to the Boston Marathon is the unpredictability of the weather conditions and this year did not fail to disappoint. 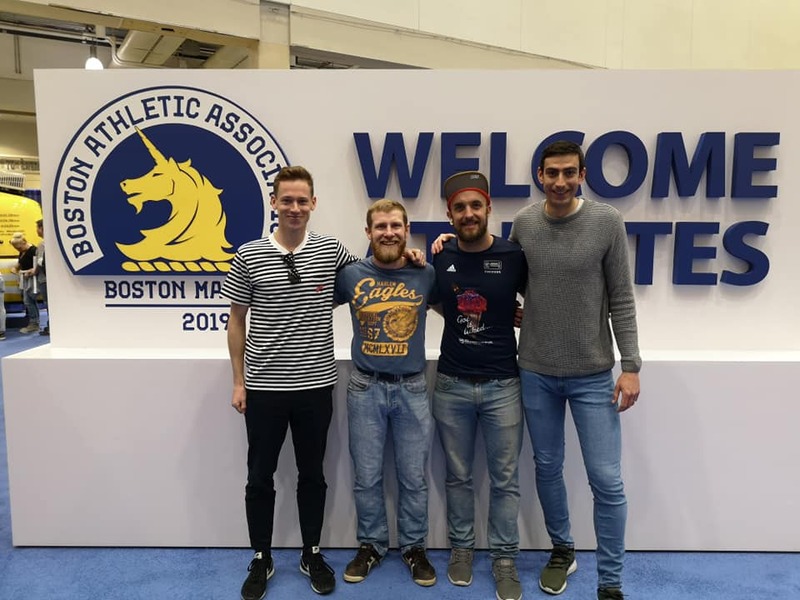 As myself, Gary Tuttle and Grant Hopkins sheltered from torrential rain in a marquee, wearing ponchos and bin-liners around our feet, we spoke to a local runner who had done Boston “around ten times”. 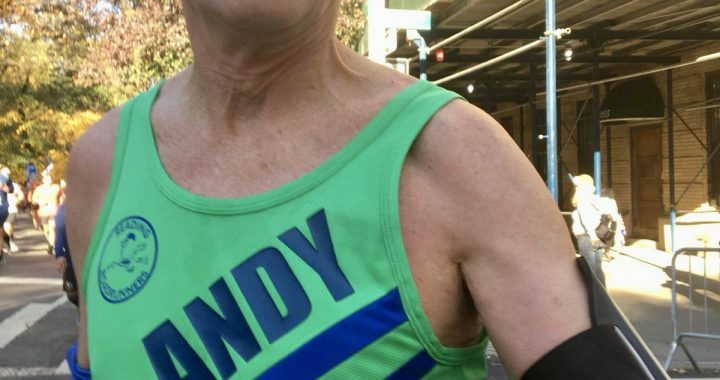 He claimed that your finishing time in Boston can’t be compared to other marathons; it’s a different kind of beast. He said you cant even compare your Boston time to other Boston Marathons as the weather each year is so different. Again, more cliches that rang true. This year they had initially predicted heavy rain throughout and for it to be cold. It was actually pretty mild in the end and the rain had passed by before the race started. The real issue during the race was the humidity to begin with and I would say in the final stages it felt pretty hot as the sun came out. The crowds along the course were great. Again, the area seems to have not grown tired of this event but to relish in it. Lots of unofficial feed stations, water stations, live music and co-ordinated cheerleading had been set up and in true American style they are unapologetically loud and bold. The Wellesley scream tunnel left my ears ringing and the last couple of miles in Boston proper were incredible. My build-up to the race had been hampered by a foot injury. 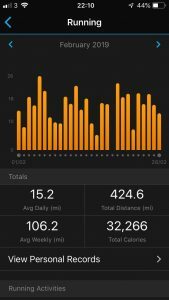 I was only able to build up to the distance slowly and was not able to put in the amount of training I would have liked. 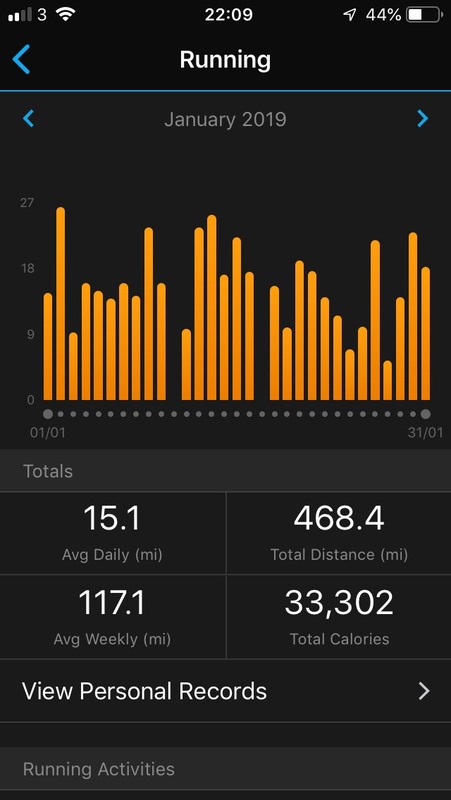 I could only manage four runs greater than the half-marathon distance, which for me is not many (London and Berlin ten runs of 18 miles-plus). So I was looking for a decent performance in the region of 2:50.00 but wasn’t going to be too harsh on myself if I only managed sub-three hours. 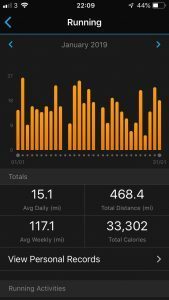 My tactic was to run comfortably on the downhill stretches, not slowing myself down, then respect the uphill sections and not put too much effort into attacking them. I thought this would leave me good energy to finish strongly in the last five miles, which are pretty much all downhill. Unfortunately this didn’t seem to work as well as I had hoped. 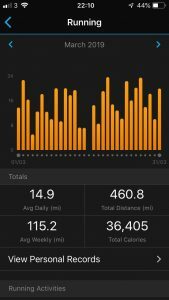 A lack of long hilly runs in my training meant that around the halfway mark my quads were sore and I could feel my hamstrings tightening. This seemed to coincide with the temperature increasing and I knew it was going to get tough in the second half. I made a decision at that point to stop looking at my pace and concentrate on feel. 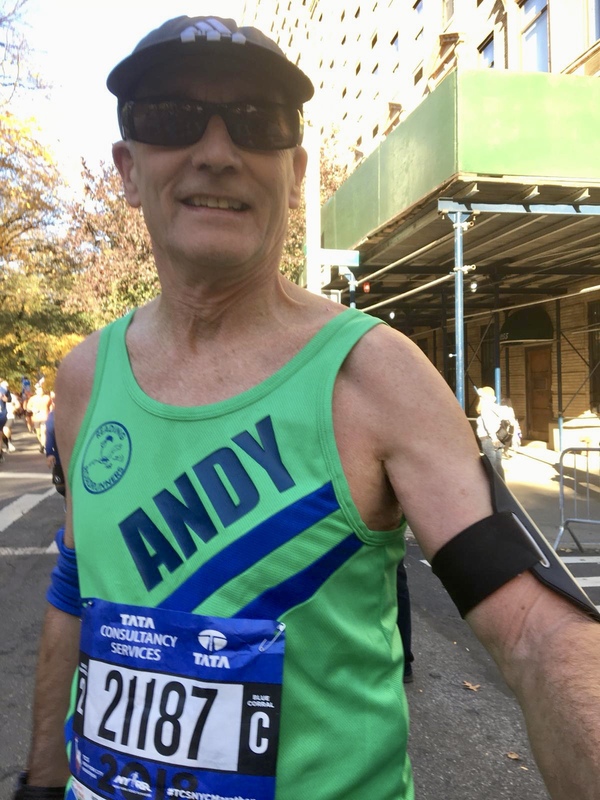 I still respected the hills through Newton (a series of four inclines culminating in the infamous Heartbreak Hill) and took them steady in the hope that I could run strongly in the final stages. The course had taken it’s toll on my upper leg muscles though. By the top of Heartbreak Hill I was in agony. My legs couldn’t turn over quickly enough to take advantage of the last downhill section. In fact i was cursing the downhill parts by this time due to the pain. The last five miles became “let’s just finish without walking” mode. 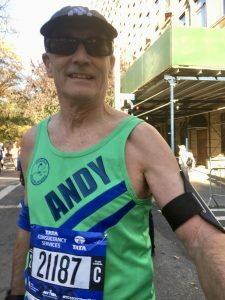 I was in a world of pain by the time I got into Boston proper, but the crowds and a runner who I was keeping pace with really spurred me on. I snapped out of my defeatist mindset in the final stages and suddenly realised that I was still on for a good time. I gritted my teeth in the last mile and tried to make sure I ran under 2:48, which I managed. It was a tough race. I would like to tackle it again with more specific training and higher volume. Considering the conditions and lack of preparation I’m happy with my time, the injury was fine and it gives me good confidence going into Chicago in the autumn. WITH the next club newsletter not due to be published until mid-May, here’s a catch-up on last weekend’s results, with most members either in marathon action or not racing because they were training for one. 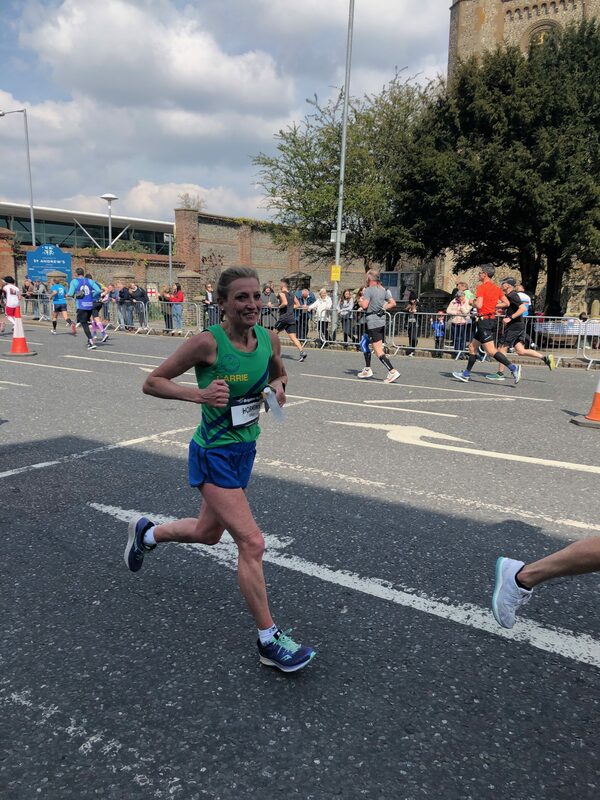 Loretta Briggs (pictured) is obviously in good form for London on April 28th, shaving just over a minute off her half marathon personal best in a Dorney event. A 2pm start made for a lovely lazy Sunday morning, with tea in bed and a rather portentous chapter from The Art of Running Faster, by Julian Goater and Don Melvin. 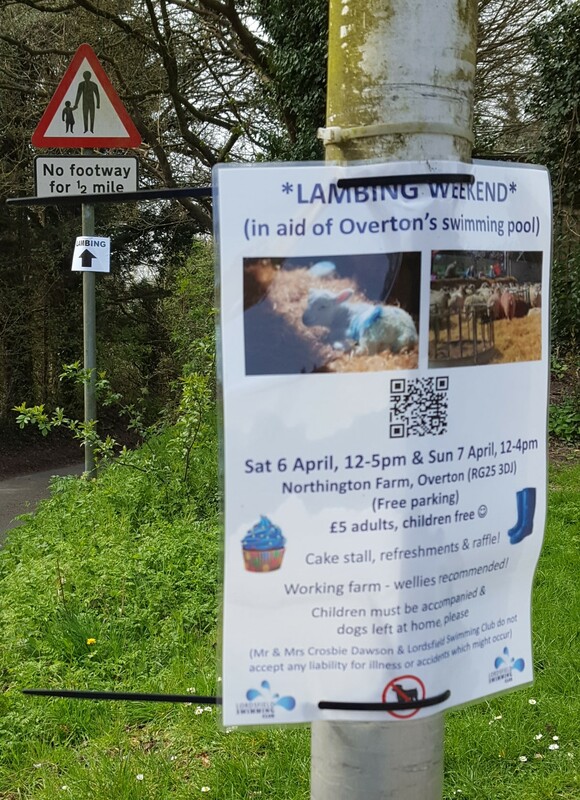 En route to the race there were several signs to a local lambing event, which seemed like a much better plan than 16 miles of hilly trail running. 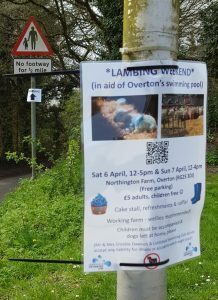 It was especially inviting given that the weather forecast suggested that all but the very fastest runners would get soaked. As it was, three intrepid Roadrunners – David McCoy, Chris Cutting and myself – made it to the start after a hair-raising coach journey. Not only did the coach entirely fail to stop at the Bombay Sapphire Gin Distillery, but the route necessitated a hairpin turn to head up towards the highest point in Berkshire (Walbury Hill; which is actually the highest point in the south-east of England – have that, Leith Hill). The race start was at the Combe Gibbet, a short way west of Walbury Hill. The original frame, long since gone, was erected to gibbet the bodies of lovers George and Dot, who were convicted of murdering the former’s wife and child in 1676. Luckily for us, the only dead body to be seen was at about the 11-mile mark, where a hare was having a particularly bad day. The terrain was rough, wet in places (puddles up to my knees – bliss!) and, although technically a downhill race, there was enough up to challenge even the most mountain-happy goat. Other significant landmarks included a fabulous huf haus, the Highclere Castle estate, plenty of lambs and some scallies on motorbikes: the 16 and a bit miles flew by. With a proper cuppa in a mug at the end and plenty of friendly marshals and runners en route, it was a lovely event. I think the lambing and/or the gin distillery would have been better, though. Our picture shows Katie with Chris Cutting and David McCoy. Chris and Katie were both credited with personal bests and David a season’s best. Right: The course profile. 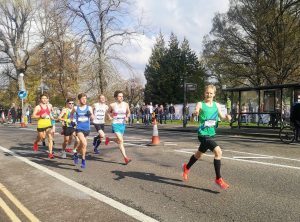 THE Manchester Marathon has a reputation for being fast and flat, which is no doubt why it attracts a field of nearly 20,000. This year 21 Reading Roadrunners and a plethora of supporters made the trek there and back by train, automobile, and (in one case) plane. It is probably a good thing the course profile is favourable, because the views are not exactly scenic. Perhaps my limited knowledge of Mancunian landmarks meant I bypassed these unknowingly. Aside from the occasional Oasis track, we could have been anywhere, and were mostly running through residential streets. However, the benefit of this was a continuous embrace of local support: children with power-up high-fives, street-party cheering, live music and a constant supply of jelly babies. Manchester is certainly a friendly place to run. I embarrassingly confess my confusion passing through a pleasant looking suburb which I had mistakenly thought to be falling on hard times, since every public building seemed to be for sale, only to later realise we were running through a town called Sale. That’s marathon brain for you. Roa drunners did not waste the fast and flat opportunity with personal bests and target times smashed. 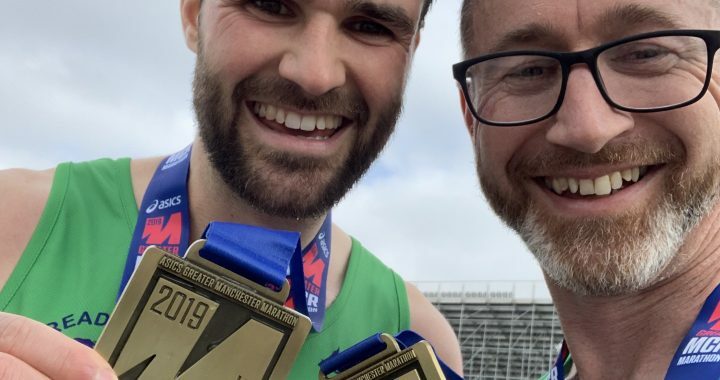 Social media has already flagged personal bests for Darren Lewis (pictured with fellow 2:56 finisher Alex Warner) and Ben Fasham, smiling medal shots from several runners, and congratulations aplenty. 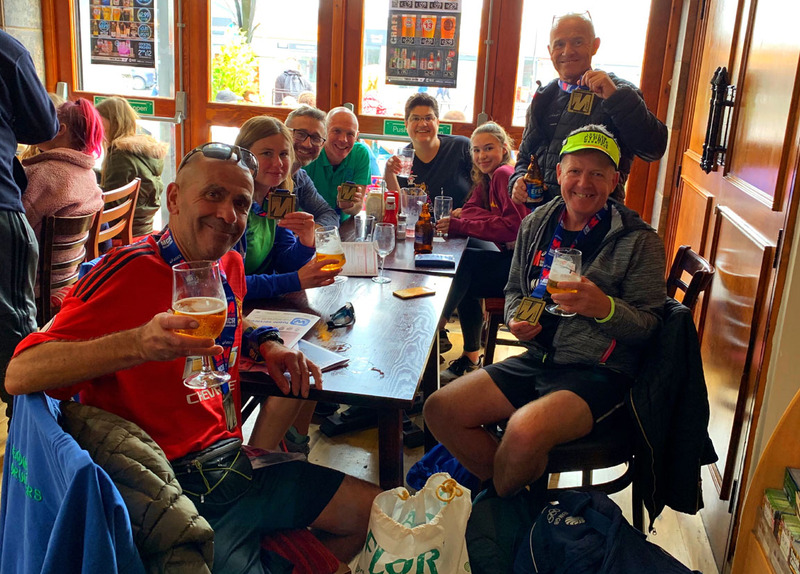 Several runners commented on the support from members of other clubs local to Reading, and I have to agree — lovely camaraderie away from home. For me personally (race report writer’s prerogative), I surprised myself with an enjoyable race. My finishing time of 4:29.17 was far from a PB, but I didn’t set out to achieve this. 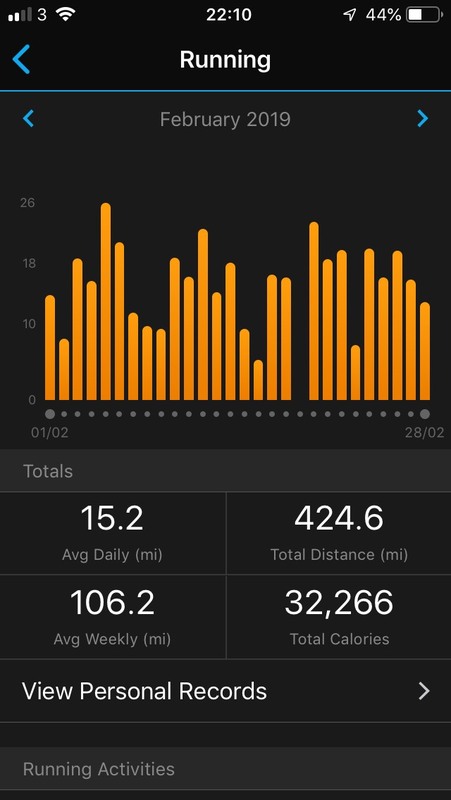 My training had gone well, but not excellently, with some nice social long runs, so I aimed for a realistic target (hoping my time started with a four) and the objective to enjoy it. By mile 23 I still felt in control — this was new territory — so I decided to be a little more ambitious and aim for an arbitrary time. By mile 25 I was slowing, cursing myself, and wondering why certain arbitrary numbers have more gravitas than others — just who do they think they are? I looked at my watch, re-engaged arbitrary smug number, thanked stranger/fairy godfather, and pushed on to succeed — still managing to enjoy it. And he was right: Manchester does have a nice finishing straight. Lesson learned for me: that targets should be re-evaluated appropriate to training. Life gets in the way sometimes, and I won’t punish myself for that by hankering after a rigid target, no matter how tempting. Sometimes it’s OK to just want to finish or enjoy the atmosphere. Which brings me to a nod to those who didn’t have a good day’s race, who were sadly DNF, or who were injured and didn’t make it to the start line. You may be feeling a little faecal now, but this doesn’t make you any less awesome for making the right decision. There’s always next time, and plenty of RRs ready to cheer you home. Manchester was a fast and friendly course, but I’d recommend staying an extra night when the cheers have faded if you want to see Manchester itself. Had a good first day, picked up the race numbers at the race village. Very easy, nothing much going on there in particular, got a customary shot in a Roadrunners top, spotted our names on the entrants wall for a couple more selfies etc. Free T-shirt (in what are apparently Marseille colours) picked up. Looking at the mountains of Tee’s for 10km and half runners, a slight concern on the much smaller pile of shirts for Marathon runners. Noticed there was no proper course map in the bag, or race magazine, nor were there little country flags on the bibs as there is at some races. Spent the day chilling out, didn’t end up sleeping in the day as per the original plan. Found a good Pasta place for the customary pre-race Pasta. Back at the hotel for an early night, but then sadly woken up by our ‘Neighbours’ about 2AM. Managed to get back to sleep but it was hardly ideal prep. Left the hotel a little later than planned and walked down to the start (this time we hadn’t ‘pre-walked’ the route). Arrived to find the organisers had provided a woefully inadequate number of loos (about 10 near the marathon and half start, and with the marathon, half & 10km about 13800 runners (!) Made it but meant we were a bit frazzled at the start, having just about navigated to the right start pen, the only directions given in very fast French (and again something that could be solved by printing it out before hand, as happens at many races. For the race itself, I was looking for the 345 pacer, so we pushed through the pen to find him, only too later see he had moved back in the pen. Pen was a mixture of marathon runners and half marathon runners. 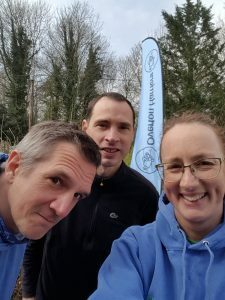 Off we went, having the half runners with you for quite a bit of the route, making pacing harder and emphasising the need to ‘run your own race’. 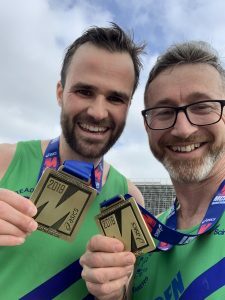 For myself things went largely according to plan, was happier when the half marathon runners split off; less happy with a park we had to run around with two big ‘out & backs’ in, and after that the two hills, both on the coast road. Was running well then came back through the city for the 2nd Lap, at about 16 miles or so… Then there was a large group of apparent runners, hundreds of them high fiving me as I went through…(which gave me a lot of energy)..I had been thinking, that’s nice of the finishers to high five, then I noticed they were in a pen, and the 10km course car ahead! The 10K runners were then chaotically released just behind us! This caused me and the few other marathoners around me quite a bit of trouble; first we had to move out of the way of the course car & motorbikes, with the quick runners for the 10km just behind. 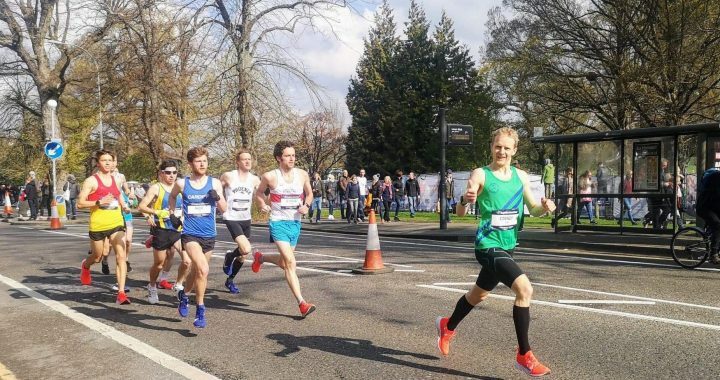 It was a real rhythm breaker, and a bizarre, and frankly idiotic way to organise a race, and caused us to need to run on the far left hand side, plus caused more pacing issues. Just about recovered from that and then it was time for the marathoners to split off again, into the lovely park, with (somewhat confusingly) a different route to run it in (but including the two hated out and backs). Was still feeling quite good on 20/21 miles as reasonably on target and a good 300 minutes ahead of the 345 pacemaker. Once we started the coast road, it was time to ‘merge’ with the masses from the 10km field. This caused no end of trouble, with some of them running back down the course the wrong way, stopping suddenly, fiddling with phones and getting in the way by stopping for selfies. Had my rhythm broken at least 4 or 5 times and had to keep running round people which was quite chaotic in the narrower bits (forced to jump into curbs, pavements, traffic Islands). 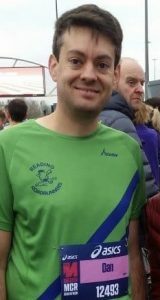 Was struggling slightly but still overtaking the 10K runners when at about 25.2 miles I was eventually overtaken by the 345 pacer. This was slightly heartbreaking as I think I could easily have made that pace without the 10K runners in the way; and he went past in an area where an unnecessary course car basically forced me to stop, since I wouldn’t get round it in the narrow cobbled streets of the last mile. In addition to the 10kmers, one man at one point blocked the marathon route in his car and argued with a fellow runner (in French) then shouted at me, cyclists and scooter riders where someone on parts of the course (sometimes going the wrong way). There was sadly more chaos at the finish as was still trying to pass people all the way to the line plus there was no way of immediately getting water. A chaotic and badly organised queue for medals formed in the small finish area. I only got the finishers bag (which is quite nice tbf) because they happened to be getting a box out when I went past. Eventually I found the water, so took 3 bottles to make sure. Wasn’t feeling too smart at the end; possibly as a result of energy gels and/or too much water. On the course, for a hot day (about 20 degrees by finish time) there was insufficient water for the marathoners (not too much of an issue personally as I was wearing my race pack). Having said all that, I did manage to finished with an 8 minute PB though would have been nice to hit 3.45. To be honest I’d been aiming/hoping for 3.40 but it just wasn’t to be on the day. I did really my time in Marseille. Hotel excellent, good food and lots to do. Nearly 10 miles of the race where on the coast which was really nice, and the flights here a lot cheaper than the other marathons we were looking at. 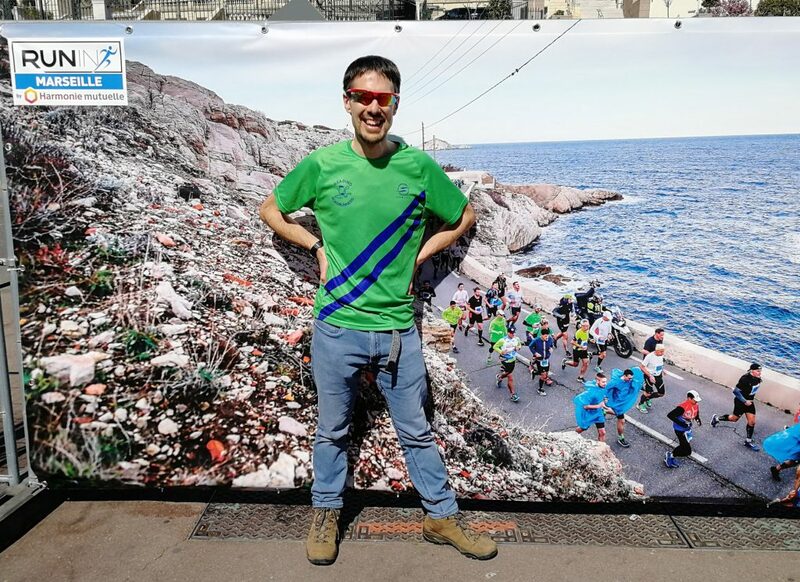 The bag, medal, and T-shirt are nice, you can stay near the start and Port Vieux is a really nice area, especially near the start zone. I’d have to only give a 4 out of 10 for the race. Good marks for the pretty route. The day before was well organised, but not enough water stations plus the 10km started just behind us causing chaos during the route and at the finish A shame because these things are easily fixed. 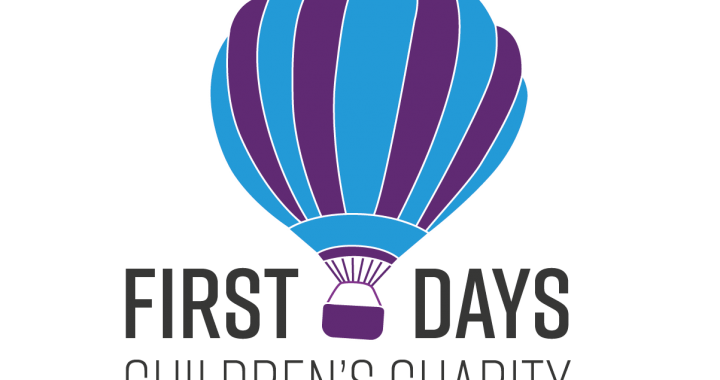 Reading Roadrunners are proud to have picked First Days Children’s Charity as their chosen charity of 2019. It’s a local charity providing much needed essentials to children & families living in poverty. Below is a clip from their website. At First Days we believe all children deserve the same start in life. We provide everyday essentials to families who are living in poverty across Berkshire (and further afield) by distributing clothes, toiletries, school uniforms, equipment, furniture, toys and books. Roadrunner Zoe Browne will be representing them at our club and first port will be Reading Half Marathon on Sunday. 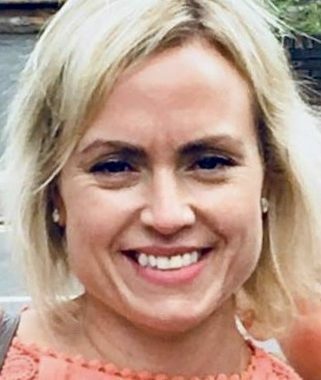 We wish Zoe, Annette and her team all the best for 2019 and hopefully they can raise shed loads of much needed cash & supplies during the next 12 months. More details available on our Charity page.